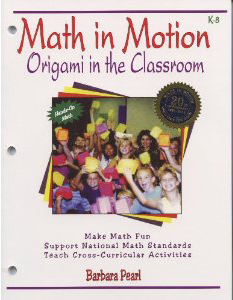 Math in Motion is not a book about teaching your child how to do math. Instead, it is a book on teaching your child to want to learn math. Jaime Escalante, a Bolivian immigrant and the celebrated math teacher portrayed in the film Stand and Deliver, turned an impoverished predominantly Hispanic East Los Angeles High School into a national math powerhouse. Escalante believed ganas (desire), is one of the most important ingredients for learning. So, how does one begin to instill in children the desire to want to learn? As an international speaker, I meet hundreds of people every year who exclaim, “I hate math! I was never good at math! Math was my worst subject!” These messages can perpetuate the cycle that math exclusively focuses on mind-numbing routines and mechanical and technical procedures. Math in Motion believes that math ability is related to attitude versus aptitude and that all children, especially girls, and minorities can develop MATH POWER! Research states one of the primary learning methods for children is imitation. Children often imitate what they hear and see. In some classrooms children may hear and see negative messages about mathematics. They associate it with worksheets, textbooks, and tests. Many parents and teachers report that they are uncomfortable teaching mathematics and may subconsciously transfer negative messages that influence their children’s attitudes towards mathematics. Studies show that parent involvement can help lead to children’s success and is one of the ways we can influence their development. I began reading aloud and playing math related games with my son, Jason from an early age…singing nursery rhymes and counting stars in the galaxy. We collected magnets and framed our refrigerator door. We categorized, sorted and classified them. At the supermarket, we weighed apples and estimated the price of potatoes. As Jason grew older, he developed a love for reading, mathematics and learning. Once a week we visited the library, checked out our favorite books and attended special programs. One day, Michael Shall, the President of Origami USA was teaching an origami workshop at a Manhattan library in New York City. “Hands in lap before you start, “…we were captivated by the beauty, symmetry, and mystery of paper folding. 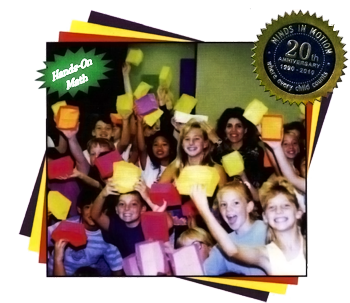 Math in Motion invites you to discover the creative language of mathematics through Origami in the Classroom. I promise you that once you share some of these activities together, they will soon become one of the best parts of your day and you will treasure them for years to come. So, whether you’re a student or an experienced teacher, a software programmer, an engineer or a mother raising a family, I hope that you will find some useful ideas in this book and unfold the joys and challenges of learning mathematics…where every child counts!